Medicine and Technology: Should I Go to the Health IT (HIT) Symposium at MIT? Should I Go to the Health IT (HIT) Symposium at MIT? I've been debating this in my mind for a few weeks now. 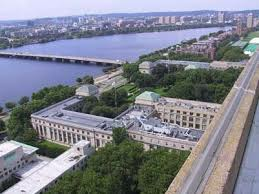 The health IT (HIT) Symposium at MIT is June 29 - July 2 at MIT. I realize that I could participate via the online option, but I'd really like to network with the people who will be up there. In fact, I'd like to cover the meeting as a blogger and post images and videos. However, I'm debating whether I should go up there for a week away from my family. If my family could go up with me, then I'd be there in a heartbeat.